Hooper Avenue Elementary School is the second certified Nature Explore Classroom within the Los Angeles Unified School District. As the nation’s second largest school district, LAUSD is on the cutting edge of a growing movement to broaden outdoor learning opportunities for children, particularly in urban areas where many grow up missing out on nature-rich experiences. With 5000 square feet of space, all areas of the outdoor classroom are clearly visible, easily accessible and clearly delineated with either plants, pavers or pathways. 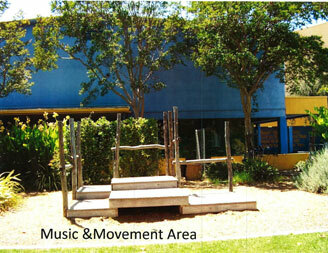 This creates a smooth transition for all students from indoor learning to outdoor learning. 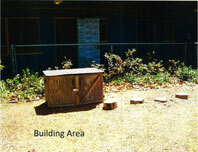 Signs were created by a volunteer following the examples in the Nature Explore Resource Guide. These visual clues help provide focus and clarity for children. Ten existing trees, as well as mature bougainvillea, were incorporated into the design. Bursts of seasonal color are provided through the addition of durable and low maintenance California native plants. Yarrow, Lily of the Nile, Azalea, Bottlebrush, and Star Jasmine are just a few of the plantings added that provide an opportunity for children to interact with natural vegetation and connects them to the wonders of nature. Classes choose plants to be placed in the raised planters and they range anywhere from sunflowers to beans. Students learn about natural systems and seasons and develop keen observation skills. The Hooper Avenue Elementary School Community Representative, along with a group of parent volunteers, regularly rakes the classroom and keeps the plants trimmed. Research, obtained from feedback from a nation-wide family of certified Nature Explore Classrooms, found that as families develop an awareness of the unique benefits outdoor classrooms provide their children, they are more likely to make a personal investment in the sustainability of the space. Two Family Math and Science Nights have been hosted in the classroom where parents and students had the opportunity to spend time together. Students also had a chance to practice Aztec dancing and yoga in this relaxing space.